He followed the call of a legendary treasure… but a gale swept away his dream of riches and a wonderous life. Washed ashore on the mysterious island, eerie noises from the depths of the jungle fill young shipwrecked pirate, Francis Blade, with a sense of foreboding… Draw your cutlass, load your pistols, and follow the call of the pirates! 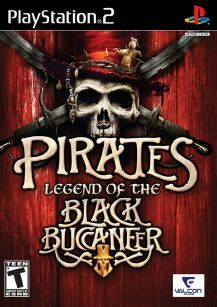 Features include 18 fantastic Caribbean locations full of puzzles, adventure and Voodoo mysteries.